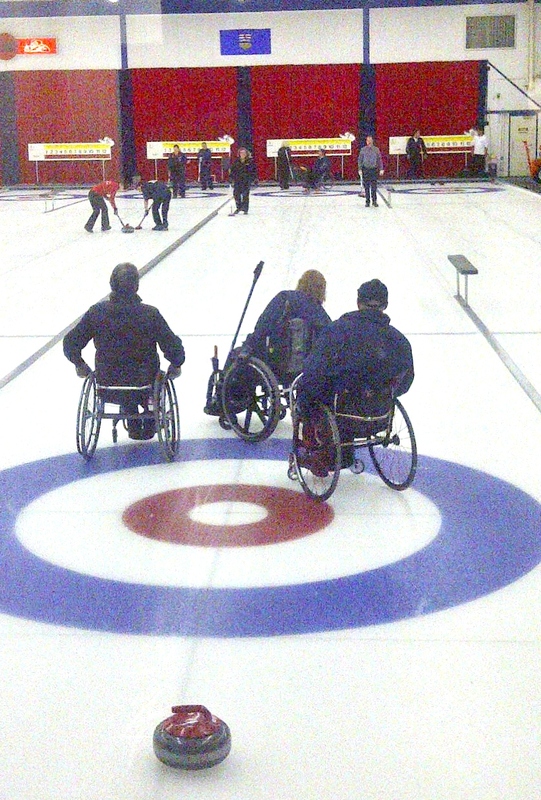 The Ogden Legion CC, host for seven extremely successful years to Calgary's wheelchair curlers, succumbed to financial pressures and closed its doors this summer, forcing the wheelchair curling program to relocate to the Garrison Curling Club. Regular weekly Sunday evening sessions resume at 4.45pm, commencing October 16th. The ice is in at the Jasper Place CC, site of last year's Nationals and also host of this season's Provincial Championship January 20-22, 2012. A tweet from Cathy, the club manager (@1CathyC) suggested a wheelchair curling clinic is planned for the October 1st weekend. Contact her for more information.